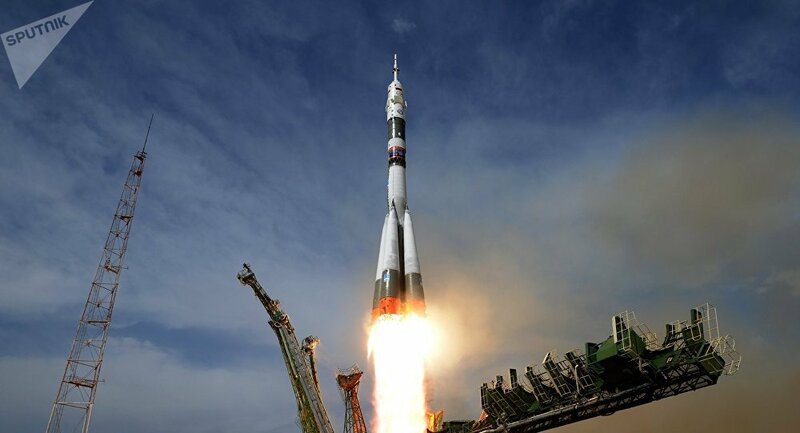 MOSCOW (Sputnik) – Russia’s Energia Rocket and Space Corporation (RSC Energia) is ready to offer tickets for a lunar tour aboard the Soyuz spacecraft; they will cost between $150 million and $180 million each, a source in the space industry told Sputnik on Sunday. On Tuesday, SpaceX said that Japanese billionaire Yusaku Maezawa would become the first private passenger to fly around the moon aboard the BFR launch vehicle. The flight is expected to take place in 2023. "RSC Energia has been developing a project to fly around the moon on the Soyuz spacecraft for many years, including providing tourist services. However, now the price of the ticket has increased slightly due to the revision of the economic requirements for the project, and the cost will be from $150 million to $180 million," the source said. The spacecraft may be launched with the Soyuz-2 carrier rocket — after that, the Angara carrier rocket would launch a transfer-orbit stage with an additional pressurized module into space, which would then couple with the Soyuz spacecraft and set off for the Moon. He noted that it was Energia and the US tourism company Space Adventures which initially entered the commercial market with the offer of a lunar tour. At first, the ticket cost $150 million, and later the the price fell to $120 million due to lack of demand.